As the official release of iOS 12 nears closer each day, Apple continues to update its betas. The company released the fourth beta of the upcoming software to developers Tuesday, July 17, exactly two weeks after the release of the third developer beta which came out just a few days before the second public beta. The fourth iOS 12 developer beta, as all updates do, introduces minor bug fixes and security patches, but also includes major changes that users might immediately notice. Fortnite no longer crashes during gameplay, and Apple Watch contacts no longer fall out of sync, if users open the Watch app and head to General -> Reset -> Reset Sync Data. Curiously, toggles are now more prominent in iOS 12 beta 4, featuring a bolder outline for increased accessibility. But the beta also comes with its own set of headaches. Apple warns iPhone X users could notice inaccurate cell signal bars while running the beta. If you choose to update to Beta 4 on your iPhone X, just keep in mind those bars could be misleading. If you want to update your iPhone to iOS 12 dev beta 4, you need to be a registered developer with a valid configuration profile. If you have iOS 12's new "Automatic Updates" enabled, you can let the software update overnight. To download the new beta right now, however, open the Settings app, tap "General," then "Software Update." 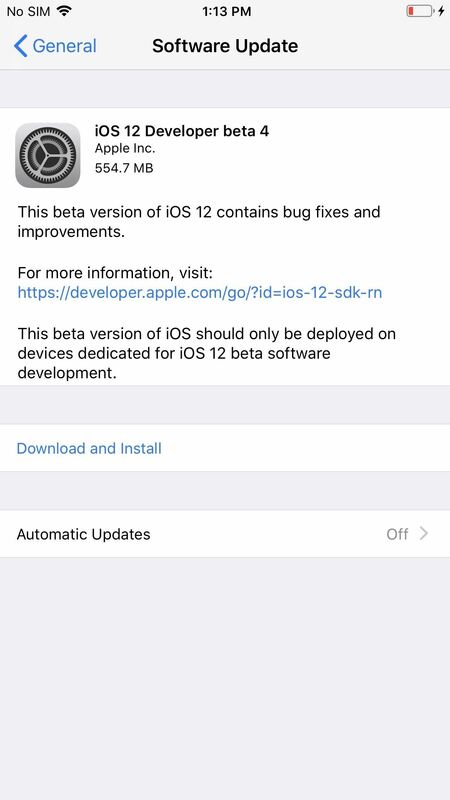 Then, select "Download and Install," and follow the on-screen prompts to download and install iOS 12 beta 4. 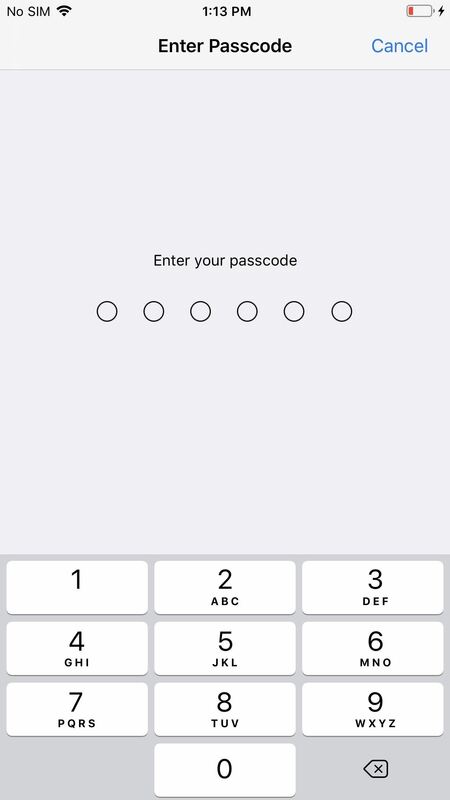 Your device might not register for iMessage and FaceTime using your phone number. (41374914) —Workaround: Restart your device. and iPad Air support only audio (no video) during Group FaceTime calls in iOS 12 beta. This latest beta not just available for developers: Public testers received this update on Wednesday, July 18, as iOS 12 public beta 3. It's the exact same update as the developer beta 4, so the notes in this article applies to public beta testers as well. Although iOS 12's main achievement is in overall performance and stability, the software comes packed with plenty of new features for beta testers and all iPhone users alike to look forward to. Big changes like Siri Shortcuts, notification grouping, and USB accessory lockouts are no-brainers for upgrading, but small features such as favicons on Safari tabs, the lock screen weather widget, and Quick-Reply notification Tapbacks — among many others — are more than enough to get anyone excited about iOS 12.